Few more days left for their Valentine's Sale! Come visit them before offer ends at Orchard Central. 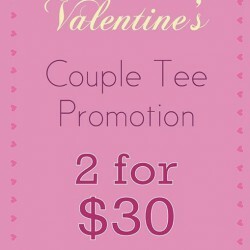 Couple Promotion: 2 for $30 on select T-shirts.